I’m really tired of seeing Big Data projects fail. They fail for both technical and managerial reasons. They all fail for similar reasons and that’s just sad because we can fix or prevent them. Gartner’s research shows that 85% of Big Data projects don’t even make it into production. I’m proud to announce my latest book on Big Data. 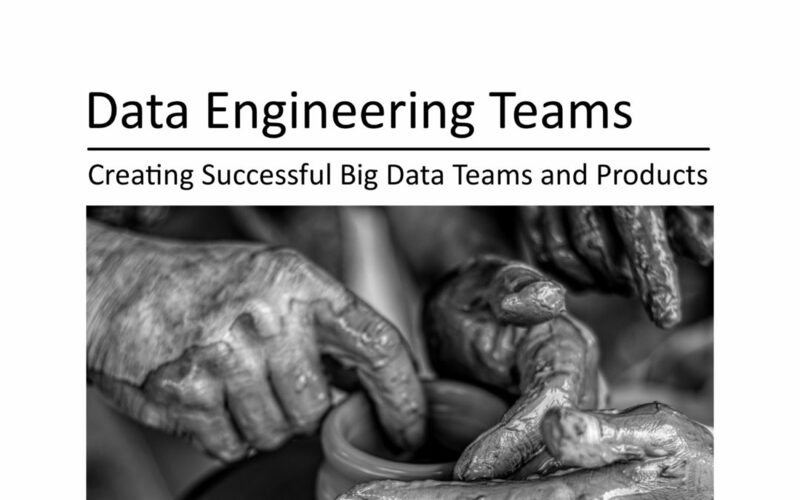 In it, I share the secrets I teach at Fortune 100 companies to make their Big Data projects succeed. This book is primarily written for managers, VPs, and CxOs—people who are managing teams that are about to, or are currently, creating a Big Data solution. It will help them understand why some teams succeed but most teams fail. Enterprise and Data Architects are tasked with being the bridge between the technical and business sides of the company. They have to make sure that the technology meets the needs of the business. They’re the tip of the spear in advocating the need for Big Data technologies. This book will help them understand how to set the technical team up for success and the pitfalls to avoid. Team leads, technical leads, and individual contributors have appreciated this book, too. They’re often on the receiving end of why Big Data teams fail. This book will help these individuals understand the problems behind these failures so they can work with their management team to fix the issues. Take the first step towards succeeding with Big Data. Get your copy.